Over time, silverware and stainless-steel flatware can create gray marks on your dishes. The marks are caused by scraping the utensils across the surface of plates, bowls and cups. They can become especially dark on stoneware and pottery. If you try to clean them off with plain dish soap, they can seem impossible to remove. 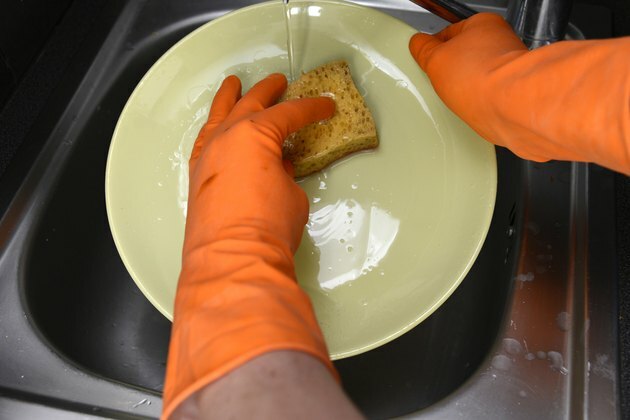 However, with the right cleansers and a little bit of elbow grease, you can remove the discoloration and make your dishes look as good as new. Put on a pair of rubber gloves. 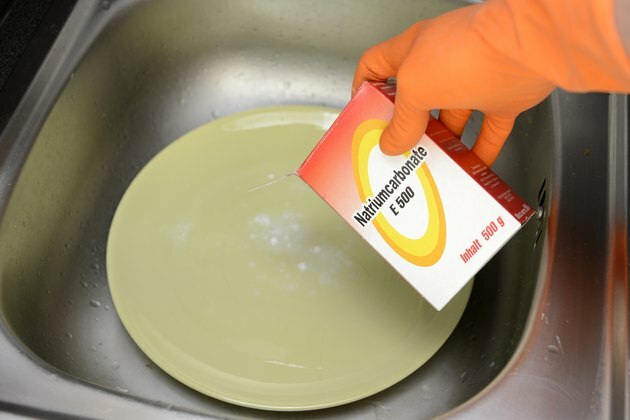 Place the discolored dish in the sink and sprinkle it with baking soda. Add just enough water to make the baking soda into a thick paste. Scrub the dish with a plastic scrubber. Apply firm pressure to the dish, but do not press down excessively. Scrub continuously in a circular motion until the gray marks begin to fade. 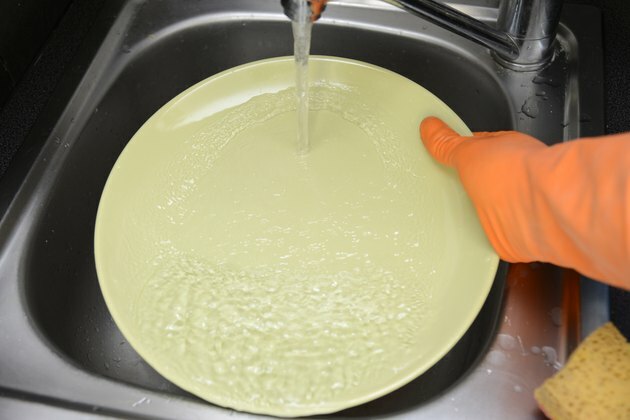 Rinse the dish periodically so you can see how much progress you're making. Add an oxygen-based dish soap if the baking soda doesn't remove the gray marks completely. Continue scrubbing and rinsing to see if the flatware marks have faded. Rinse and dry the dish completely. If the marks persist, apply some silver polish that is safe for eating utensils with a clean, dry white cloth, rubbing the silver polish over the surface of the dish. Move your finger along the marks, applying firm pressure. Use a more toxic alternative metal polish only as a last resort. 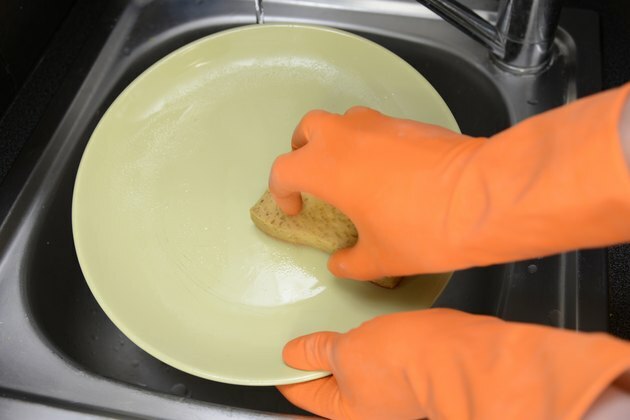 After using metal polish, wash the dish with a scrubber sponge. Wash the dish again with a new sponge that's free of cleanser. Rinse the dish and allow it to air dry. Repeat the cleansing steps as necessary whenever gray flatware marks reappear on your dishes. 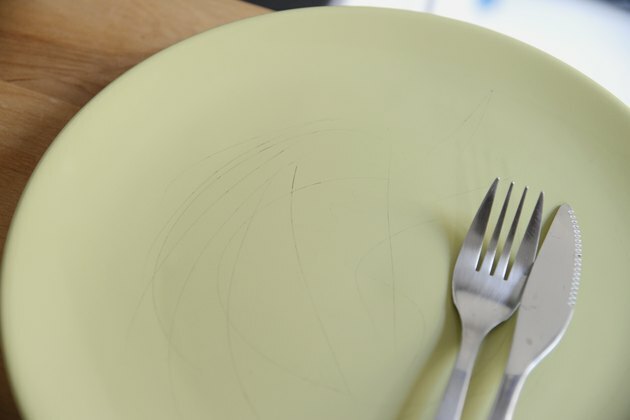 Use toxic metal polish only for stubborn flatware marks. 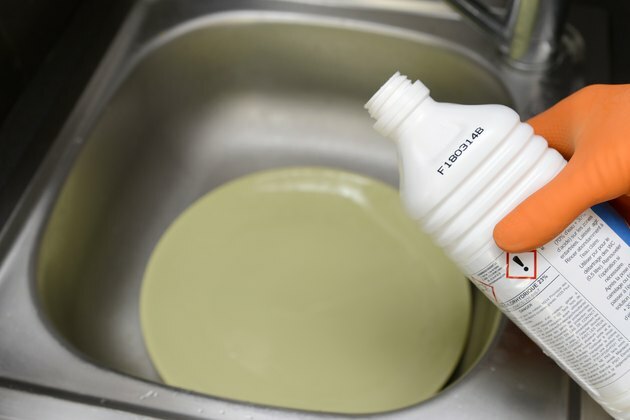 Can I Use Vinegar in My Dishwasher to Wash Dishes? What Symbols Show Dishwasher-Safe Dishes?